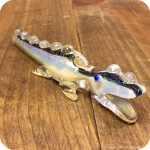 If you’re looking for a unique glass pipe with a little bit of everything, check out the uniquely rendered shape that makes this piece so special. 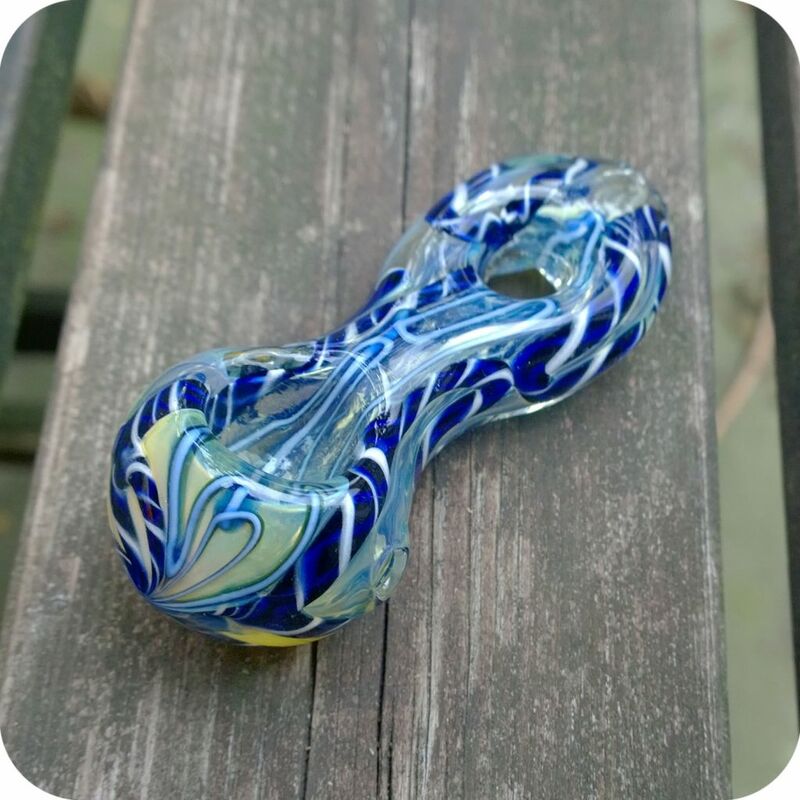 Measuring 3.5 inches long, and hand blown thickly with silver fumed glass covered in streaks of blue and white inside-out designs, this piece can easily be worn as a necklace, making it your favorite fashion statement of 2015. Or, keep track of your fire source by threading your hemp wick through the donut hole near the mouthpiece. 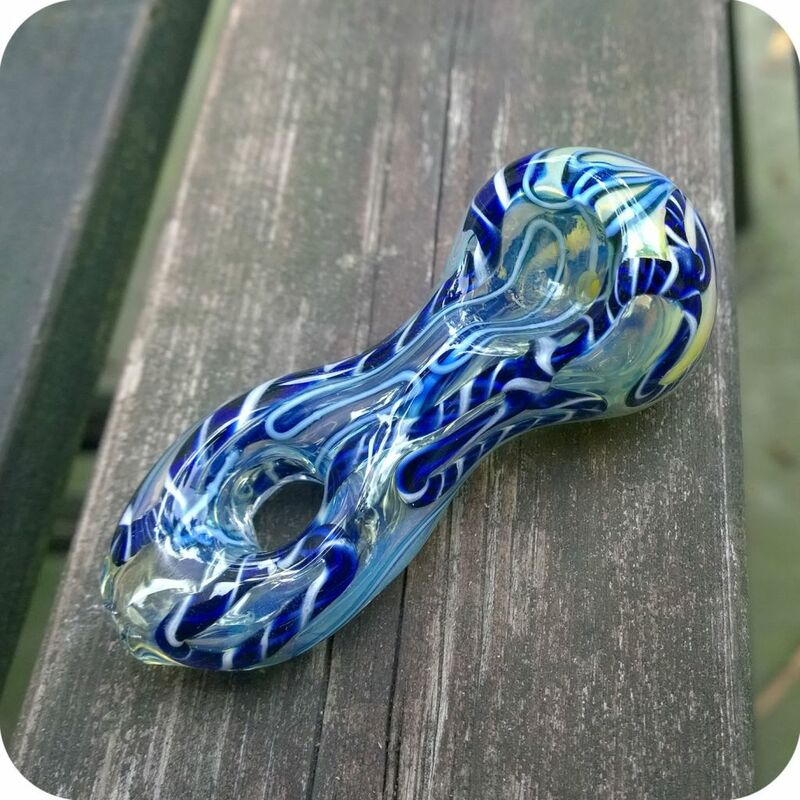 Although the stem of this glass pipe is separated, the chamber maintains its thickness for easy cleaning with 420 cleaner or pipe cleaners. 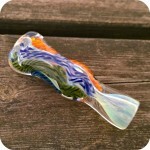 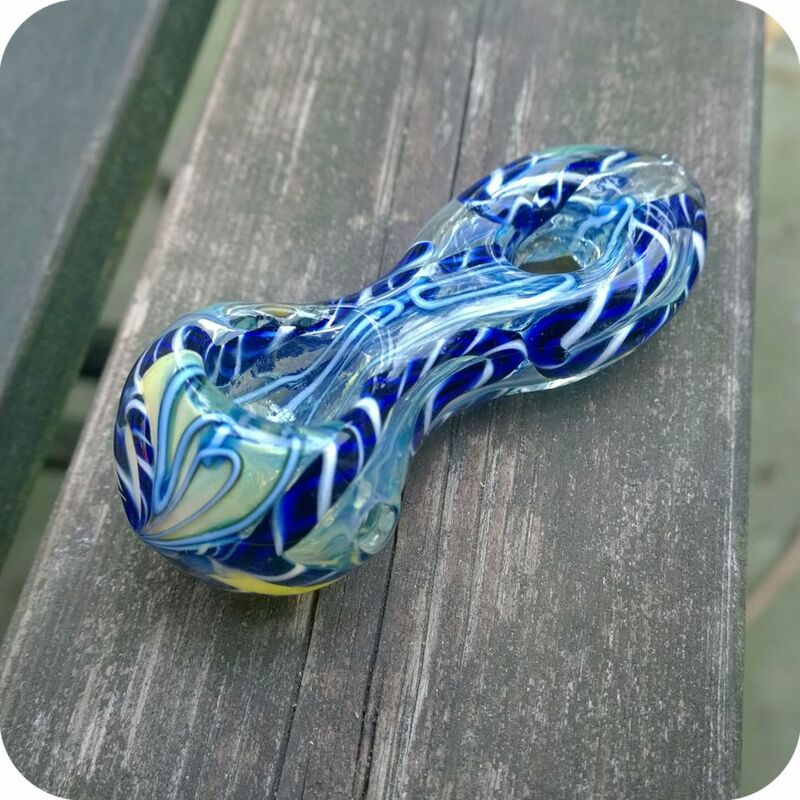 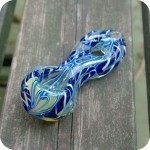 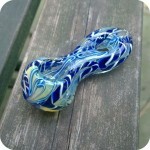 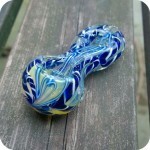 Color changing, and life changing, you’ll be happy as this glass pipe turns more and more blue!